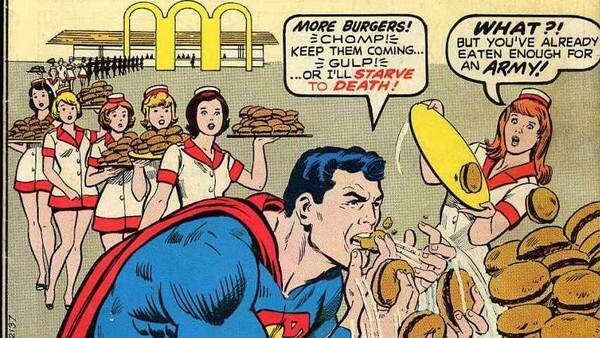 Superman... SERIOUSLY. What are you doing?! 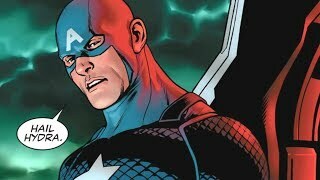 Outside of continuing storylines, a comic's cover is maybe it's biggest potential pull. Catchy, flashy covers are to comic lovers what pixie sticks are to toddlers, and so the trend of eye-catching covers became an industry standard. So much an industry standard, in fact, that stuff started to get really weird. It's unclear if covers started to get purposefully ludicrous on purpose, or if the wacky plots of comics naturally equalled hilariously unusual comic covers - especially from DC, who is often now considered the darker of the 'Big Two'. Either way, this has churned out some covers that are as unforgettable as they are hilarious, and contain everything from evil finger puppets to Superman's burger habit. They're not always logical, and they're not always supposed to be funny - but they manage to be hilarious, without fail, every time. The Emerald Twilight storyline is a unique Green Lantern comic series for a couple of reasons. Firstly, it's a pretty raw look into Hal Jordan and his motivations and flaws as a person. Secondly, look at that face, that hilarious grinning face, that alone would make several series entirely worth it. Although the actual plot - namely Jordan reaching breaking point and turning against the Lanterns - is scary, Hal's expression is anything but. 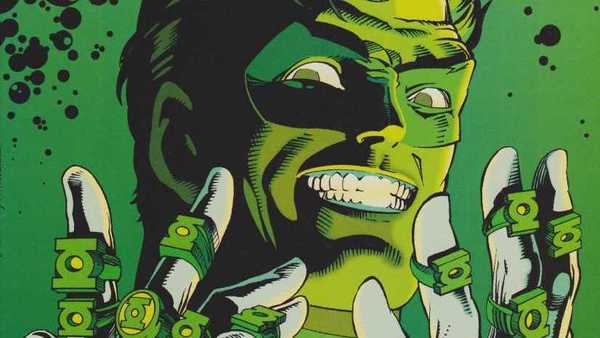 It’s the kind of expression you would purposefully make if you were trying to be over the top, which just makes it look like Hal is goofing about with those rings – instead of, you know, being kind of evil. That said, if being goofy was the main way to get away with being evil, Condiment King would be a force to be reckoned with – so maybe this expression is one best left in the past.